Tue., July 3, 2018, 1:53 p.m.
SALT LAKE CITY – A woman convicted of helping a former street preacher kidnap then-Utah teenager Elizabeth Smart from her Salt Lake City home in 2002 has been denied early parole. 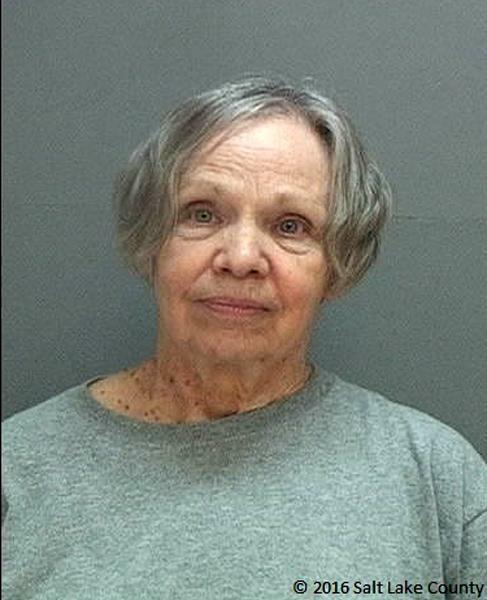 The decision announced Monday night by the Utah Board of Pardons and Parole was expected after Wanda Barzee, 72, refused to attend her hearing last month before the state parole board that could have helped her get out of prison before her scheduled release on Jan. 29, 2024. Barzee has also refused to take undergo a mental health evaluation she would need to get out early. The board instead set a new hearing for January 2023, though it said in the decision that it would consider an earlier date if Barzee takes the mental health evaluation. Smart, now 30, declined comment on the decision through a spokesman. She said after the June 12 hearing that she’s concerned Barzee hasn’t changed after learning that Barzee is still carrying around a manuscript containing revelations the former street preacher, Brian David Mitchell, said he received from God that told him to kidnap Smart. She said the manuscript also contains other “disturbing and dangerous ideas.” She didn’t say how she knows Barzee has the book. Smart’s abduction from her bedroom at knifepoint by a man who came in through an open kitchen window triggered waves of fear among parents everywhere. The frantic search for Smart and the mystery about who took her captivated the nation. She was found nine months later while walking with Barzee and Mitchell on a street in the suburb of Sandy, Utah, by people who recognized the couple from media reports as suspects in Smart’s kidnapping. Before the kidnapping, the Smart family had paid Mitchell to do handyman work at the house after running into him in downtown Salt Lake City and thinking he was just a man down on his luck. Smart, who is married with two children and pregnant with a third, has written a book about the harrowing ordeal and recently helped make a Lifetime movie and documentary about the crime and her life. She is now a child safety activist who regularly gives speeches. “Looking back I can honestly say it was the worst experience I have ever dealt with and I hope no one ever goes through it again but I am also grateful it happened to me for what it has taught me and allowed me to be a part of, and for making me into the person I am today,” Smart wrote. Published: July 3, 2018, 1:53 p.m.